With its stylish waterfront and a host of historic sites, Newcastle is a mix of fun and culture, heightened by the legendary Geordie folk heritage. Newcastle, the party capital of northeast England, is often underrated as a travel destination and has been dubbed one of England's best-kept secrets. A weekend break in Newcastle is well-suited to a younger crowd, who will get the most out of the party culture of this university city. 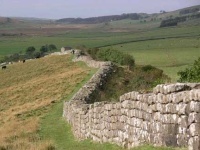 However, history buffs may also enjoy a trip to Newcastle for its ancient Roman heritage, particularly its proximity to Hadrian's Wall. 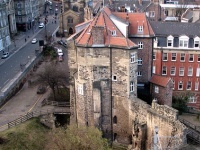 The city's modern amenities actually lie comfortably close to numerous historic sites and impressive old buildings, including the Castle Keep and New Castle, Wallington Hall, the lovely old buildings of Grey Street, and the Victoria Tunnel, a fully-preserved 19th-century wagon tunnel which became an air raid shelter during the war. A safe city that is easily navigated, with a range of fascinating museums and year-round cultural events, Newcastle is far more than its party reputation suggests. 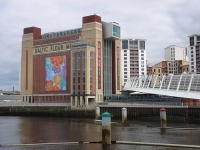 Like most of England, summer is the best time to travel to Newcastle-upon-Tyne, which has the advantage of being one of the United Kingdom's driest cities. Summertime brings warm temperatures, when locals and visitors alike can take advantage of outdoor bars and clubs.